My name is Keith Black and I've been interested in my genealogy since high school but only pursued it off and on. Although, over the years, I've accumulated a fair amount of information on my family lines. It is my desire to share this info and histories with my family members, direct relatives, and others that have a connection or interest. I am also a FamilySearch Indexer for The Church of Jesus Christ of Latter-Day Saints. Oct 28, 2014 - Added James VI of Scotland as a relative on "the Royalty 2" page. Oct 27, 2014 - Added another page and is tabbed "Royalty 2". Here I show how I am related to King Alfred The Great and also Hector Roy "The Red of Battles" who was the sixth chief of the MacLean Clan an a renown swordsman of his days. Sep 12, 2014 - Added more on the Griswolds. The parents of Albert James Griswold confirmed. Oct 21, 2013 - I added a diagram that I did myself from memory of our Arroyo Grande home. It can be viewed or downloaded in pdf form from the Black page. Oct 13, 2013 - I revised the "All I Know About The Black Clan". It can be found on the Black page. Oct 6, 2013 - I converted the two Berry/Maple/Glover documents to one pdf file. You find this on the Black page. Oct 4, 2013 - I put the images of the sources in one large 30 MB's pdf and it can be found on the Black page. Oct 3, 2013 - I finished rewriting All I Know About The Black Clan and is offered as a download on the Black page. Oct 2, 2013 - I added more to the MacLean history on the Black page. Oct 1, 2013 - I added the Hawkins history and photo of Charles Howard Hawkins (Brown) on the Walker page. Sep 21, 2013 - I added the "Brimhall Family Story" and was put together by Logan Brimhall, Elias R. Brimhall, Florence B.
Brinkerhoff, and Jean B. Stapley. It can be found on the Brimhall page. Sep 20, 2013 - I did an update on comments from viewers. Oct 17, 2012 - Added information on the Bramhall Mystery and is found on the Brimhall Page. Oct 16, 2012 - Added information that will put a light on who Matthew de Bromale was and where the Bramhalls originated from. Also I put a time line up. All can be found on the Brimhall Page. Nov 20, 2011 - Added how we are related to Charles Julius Guiteau - the guy who shot President Garfield. Nov 19, 2011 - Added how we are related to President James Abram Garfield the 20th President of the United States. Nov 18, 2011 - Added how we are related to the Bush's - the 43rd and 41st Presidents of the United States. Nov 16, 2011 - Added how we are related to Joseph Smith Jr. on the Famous Relations Page. Nov 14, 2011 - Added how we are related to Davy Crockett on the Famous Relations Page. Nov 13, 2011 - Added the Famous Relations Page. I will show how we are related to famous people. I added how we are related to Abraham Lincoln, Daniel Boone, John Alden (Mayflower Pilgrim) and Mark Twain. Nov 12, 2011 - Started writing about the Guiteau line on the Brimhall Page. Sep 19, 2011 - Put up photos of dad (Paul Leon Black) on the Black page. August 31, 2011 - Put up the McMullin Coat of Arms and the history of the McMullin name on the McMullin Page. 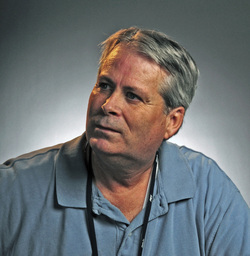 August 30, 2011 - Put up a photo of Vinson Charles McMullin "Mack" on the McMullin Page. He is 10 months old. August 30, 2011 - Finished writing about the Giles Line on the Griswold Page. August 24, 2011 - Put an update on Daniel Gordon Black (son of Samuel Jefferson Black) on the Black Page. August 16, 2011 - Added one photo of the gravestone of Margaret McCormack on the Hackwell Page. August 16, 2011 - Put up photos of (Mom) Nancy Jane (Griswold) Black on the Griswold Page as a tribute to her. Auguust 15, 2011 - Added three photos to the Hackwell Page. August 15, 2011 - Added to the Hackwell Line doc. (The place where Margaret McCormack is buried). August 6, 2011 - I finished the Hackwell Page. August 3, 2011 - I wrote a 45 page document on the Berry Line. It can be found on the Black Page as divided in two parts and can be downloaded there. JULY 24, 2011 - I Discovered a possible connection to the Griswold line that goes to Warwickshire, England to about 1270. I put this up as a downloadable document. JULY 22, 2011 - Started and added to the Griswold page. JULY 22, 2011 - Completed the McMullin page. JULY 20, 2011 - Posted information on our possible link to Scottish heritage on the Black Page. APRIL 12, 2011 - I'm working on my own history. An autobiography entitled "The Life of Keith." It will be posted on the BLACK page when I complete it. APRIL 11, 2011 - Posted my Dad's life history (Paul Leon Black) entitled "The Life of Paul" on the BLACK page. April 10, 2012 - I finished the "My Royal Line" page. The ultimate discovery. April 2, 2012 - I added how we are related to Lady Godiva on the Famous Relations Page. The National Archives and Records Administration will open the 1940 U.S. Federal Census on April 2, 2012—the first time this collection will be made available to the public. Once we receive the census, we will begin uploading census images to our site so the public can browse them. Initially, this collection will be what we call a browse-only collection. This means a person can scroll through the pages of the census districts much like you would look at a microfilm or a book. At the same time, we will be working behind the scenes to create an index of the census that will eventually allow people to search for their family members by name as they currently can with all other censuses on Ancestry.com. Note also that the 1940 U.S. Federal Census will be accessible free of charge throughout 2012 on Ancestry.com. ​It was interesting going through your blog and seeing how you set it up. Very well organized! Hi Kieth, I think we may be related through LADY Florence Temple Bramhall who appears to be my 9th great grandmother. I just found your site and it is very interesting. Hi Keith! I lost track of you and haven't talked to for a long long time. I'm glad you are still active in family history. You've done a nice job on the website. I've been wanting to do something like this, but I've never felt like I've had all the information I need, or the time to do it... I very much appreciate the information you shared with me. You really went the extra mile, literally! Best regards. Thank you so much for posting this. My grandmother was Mae Walker Bond. Looking At the pictures of your dad Paul with two unknown sailors. The older sailor was Engman Bond and the younger is my Dad Dale Bond. Sons of Karl and Mae Bond. I had not seen most of this before now. I am so thrilled. My dad will be 88 on Dec. 1, 2011. He lives in Rexburg ID. I am Verlee Bond Shurtliff's oldest daughter. This weekend she will come to my house and go through these pictures, and hopefully know the names of those you are missing, and I saw one that identified a man as Karl Bond, but it isn't. She'll know who he really is. My mom turned 90 in September and is doing great. That includes her memory. I appreciate all the work you have here. Keith: Answer - Yes, I have a tree on ancestry.com and I will send you an invite. Note: Anyone can see a tree once they register for an Ancestry.com account. A subscription is not required to see a tree. Hi, Love the site and all of your work. My husband is a Hackwell through Abner's son Jospeh b 1810. I have downloaded the word document but I am wondering if you have any source information. I would love to share or help in any way I can. Me: Answer - Hi Sharon. I'm glad that you love my site. Joseph (Abner's son) is our common ancestor and how I tie in also. If you look at the Hackwell doc, that is found on the Hackwell page and follow the asterisks from generation to generation, you can follow my line and see how I fit in. On the last few pages of this document, you can find "List of Sources" which list 65 sources. These are the sources that I have used in writing this document. If you or your husband have anything to share (photos, written histories, personal stories, photo copies of documents, etc.) then it would be well received and appreciated. It's nice to hear from you. Tell your husband hi - Keith. Hi Keith, I am from Peterborough, Ontario, Canada and am a direct descendent of Rev John Lathrop and his first wife, Hannah House. They are my 11thgg through their son, Samuel and his wife, Elizabeth Scudder. I was net surfing info about the rev and found your site. How interesting. Does it mean if one is related to rev John, then are we automatically related to the people on your site? Hope to hear from you in the near future. Me: Like I stated before, if you are related, meaning that your line goes to Thomas Lathrop (1536-1606 / m. to Mary Howell) or Rev. John Lathrop (1584-1653 / m. to Hannah Howse), then your line can be traced back to Harold B. Lee – prophet, Wilford Woodruff – prophet, Joseph F. Smith – prophet, Joseph Fielding Smith – prophet, Parley P. Pratt, Apostle and Mormon Pioneer, Henry Wadsworth Longfellow – poet, Eli Whitney – inventor of the cotton gin, Ulysses S. Grant, President of the United States, Franklin Delano Roosevelt, President of the United States, Marion Meriwether Post, founder of General Foods, Alan W. Dulles – former Director of the CIA, George H. Bush – President of the United States, George W. Bush – President of the United States, George Romney, Governor of Michigan and President of American Motors, Mitt Romney U.S. Presidential Candidate, and, as there is always at least one black sheep in the family, Benedict Arnold. 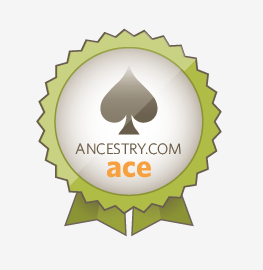 Now, in what degree or how closely you are related to anyone on my site all depends. If you have a tree on ancestry.com, then you can bring up that person's profile page and click on "View relationship to me" under the person's name and it will show how you are related to that person. The famous person link that use to be a part of One World Tree on ancestry.com has been removed. It was a good way to trace your line to famous people. However, it did work right all the time, leaving gaps; so, you had to finish the connection with you own research. But, at least it gave you a good head start. Ancestry.com probably to it off because it did not produce reliable results all the time. Too bad. You just had to put in some effort to complete it. All of my links to famous people on my "Famous Relations" page show a direct connection and I have personally researched them. Thanks for your reply. Thanks for a great job--quite interesting. I am living in the UK now so this is all more real. Just one question--cannot find a link between "Lady" Florence Temple and Peter Temple. I find a Sir Peter Temple that fits the time frame. Seems like he was married twice but there is no daughter called Florence. If her date of birth is correct, then she couldn't be the decedent of the Peter Temple Esq, the Regicide, since he was born in 1600 and finally died in prison in 1660. Would appreciate any help as I am a direct descendant. Me: According to the “U. S. and International Marriage Recorrds, 1560 – 1900”, Lady Florence Temple was married to James Brimhall. The book “ Genealogy of the Bramhall Family: With Some Account of the History of the Family and of Bramhall Hall in East Cheshire, England”, compiled by Frank James Bramhall, published 1903, ”, page 6, states that George Bramhall, that landed at Casco, Maine was the son of James Bramhall (the son of Cornelius Bramhall) and Lady Florence Temple. The Brimhall Family Tree, published by nenaob, will show you the direct connection and line to the Temple line. It states that Florence Temple was born 1614 in Yorkshire, England and her husband, James Bramhall was born on 1614 in Canterbury, Kent, England and James died on 1714 in Canterbury, Kent, England. The tree states that James and Lady Florence were married on 1640 in London, Middlesex, England. This tree also shows that Peter Temple and Mylycent Jekyle were married and had as a child: Lady Florence Temple. Another tree to check on ancestry.com, is the Gladstone Family Tree, owner Jeffrey Gladstone. Also, check my Black Family Tree on ancestry.com. I hope this helps. Note: Several viewers have emailed me asking for sources to support my connections in the Temple line. I must agree that they all have good questions about Temple connections. I do agree that there should more documentation for these connections and hope other will find more. I have, however, have showed why I believe these Temple connection are correct by answering Cynthia's email above. Some viewers have looked at the Famous Relations page and asked me how I'm related or how they are related to the famous person that I posted. Really? I show everyone that views this page how I am related. How they are related depends on their own research. Also, several viewers are asking for proof of connections on My Royal Line page. Keep in mind that this page was intended for a fun or an interesting look at the genealogical possibilities for a line toward royalty and beyond. If you want solid proof of everything posted here, it won't happen. This page is only a primer for your own research. I hope this clears up things. Of course, I am always willing to hear from everyone and, particularly, what they have found. I however, do not have the time to do your own research for you. Please get involved and research and then share your own research. Thanks, Keith. Hey there Mr. Black... amazing stuff... great work... I am a direct descendant of your Lincolns as well as the Walkers and Brimhalls and I am sure, some of the Blacks as well. Very intense stuff... Just thought I'd say hello and found your site to be really insightful, no pun intended, especially when seeing all of the connections, in particular, with the Boone family as well. Hello, I am a direct decendent of the Bramhall line (grandmother, Chloe Vivian Bramel). Finding your information and the PDF on the early English and American history of the Bramhall/Bromale family, I was extremely excited. Unfortunately, I cannot download it due to your site/BYU restrictions. Would it be possible for you to email me the PDF? It would be deeply appreciated. Any restrictions you would want to place on its use, I would gladly honor. This is strictly for our nucelar family. Thank you for your consideration. Me: You can find the same "Bramhall-Brimhall Family in America" on PDF at http://b13family.com/ under books. The Harold B. Lee online Library use to be un-resricted. I guess things change. Me: Hi Evelyn, I have invited you to look at my Black Family Tree on Ancestry.com. Thanks, Keith.